A convicted member of the "Toronto 18" who plotted with al-Qaeda-inspired militants to attack Canadian institutions in 2006 has died while fighting in Syria, according to a CSIS informant. A convicted member of the "Toronto 18" who plotted with al-Qaeda-inspired militants to attack Canadian institutions in 2006 has died while fighting in Syria, according to multiple sources in close contact with family and friends. CBC News has learned from a CSIS counter-terrorism informant that gunrunner Ali Mohamed Dirie, who was sentenced to seven years in 2009 for his involvement in the scheme, was able to leave Canada in 2012. It's believed he used a passport that was not his own. Dirie was convicted of smuggling weapons for the group, which had planned a violent assault that included blowing up the CBC, CSIS and Parliament buildings, executing the prime minister and taking MPs hostage. But the Islamic extremist cell was thwarted after a series of raids in June and August of 2006. Dirie was arrested and became linked with the other 17 arrested before the attacks could be carried out. He pleaded guilty in 2009 and was given credit of five years in pre-trial custody. Dirie ultimately served two years at Canada's highest maximum-security prison, the Special Handling Unit, in Quebec. He was released in October 2011. It now appears that within a year of his release, he was able to fly to Syria, where he reportedly joined an extremist group, then died there. That update comes from several Muslim leaders and Mubin Shaikh, who had infiltrated the Toronto 18 at the behest of CSIS and the RCMP and was instrumental in bringing the case against the group. Shaikh told CBC News that word has began filtering out in the last few weeks about Dirie's fate. "While he was in prison, he was trying to convert people, talking about the 'filthy' white people," Shaikh said. "[He] did his time, was quiet about [it], was released, and he ended up in Syria, fighting with an extremist group, and has died." A family member announced Dirie's death not long ago at a Toronto mosque, Shaikh said, but it's not clear precisely when he died, or how. Court and parole documents obtained by CBC News indicate that Dirie was considered a flight risk as well as someone at risk of engaging in terror activities again. Dirie had hinted as much himself. "I am out in two years and my actions will speak louder than words," Dirie told a parole board hearing in 2010. In an email to CBC News on Thursday, Canada's Department of Foreign Affairs said the department was "aware of reports that a Canadian has been killed in Syria." "We are following the situation closely," the statement said. "As background information, please note that Canada has strongly advised Canadians against all travel to Syria since April 24th, 2011[.]" Some members of Toronto's Muslim community are worried others will follow in Dirie's footsteps. 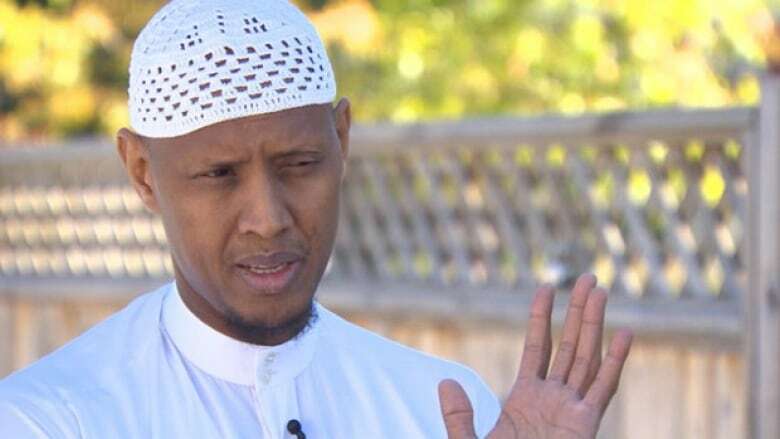 Imam Said Rageah of Toronto’s Sakinah Foundation is concerned that too many young Muslim men are enticed to leave Canada for so-called jihads in far corners of the world. He is alarmed that many have already left but is more concerned about those who are thinking about leaving. He is calling on all levels of government to intervene. "I'm not saying we should treat them differently by giving them what we're not giving any other Canadian. I'm just saying we should treat them like Canadian."